An image shows how the cinema might appear in the new look Queensgate shopping centre. Owners of Peterborough’s Queensgate have vowed a £30 million cinema-led redevelopment will not be derailed by uncertainty over an operator for the multi-screen venue. Shopping centre bosses announced 19 months ago that Odeon would operate the planned 11-screen digital cinema. Now bosses have revealed that they have started talks with two other national cinema operators. They say the move has been triggered by a change of ownership of Odeon, which was acquired last year by the American AMC Entertainments. The change has created uncertainty about whether the new owners will remain committed to the venture. It is understood an agreement to operate the cinema was about to be signed but that has been delayed by the new owners. A spokesman for Queensgate managers Lendlease said: “We have opened detailed discussions with two other major national cinema operators because we want to proceed with the extension as planned. He said: “This is a pre-emptive move because of the change of circumstances for Odeon, which was bought by AMC Entertainments. He refused to reveal the names of the operators. But he was adamant the extension of Queensgate, which was approved by Peterborough City Council in 2015, was still on schedule. Work on the 77,000sq ft development, which will include a string of restaurants and stores, is planned to begin at the start of next year and take about two years to complete. The Lendlease spokesman said: “We are still on schedule and we are still committed to completing our extension of Queensgate. She refused to comment on the reasons for the talks. 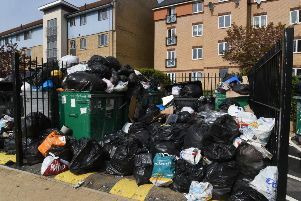 Councillor John Holdich, leader of Peterborough City Council, said: “It is disappointing but this type of thing happens. “I understand Odeon was about to sign the agreement but that has been delayed by the change of ownership. “It’s not a problem because there are two other operators who are gagging to get in. But Cllr Holdich said the delay in securing an agreement could delay the cinema by three to four months.